After months of whispering and speculating the anticipated project of Donald Grover and Rihanna, their movie is finally here and the fans are thrilled. The top-secret music film starring Donald Glover and Rihanna, 'Guava Island' will be released for free on Amazon Prime on Saturday morning as part of the festivities surrounding Glover’s headlining as Childish Gambino on Friday Night at the Coachella Valley Music and Arts Festival, reported Vanity Fair. Stephen Glover, Donald Glover's brother has written the movie and is directed by Hiro Murai was secretly filmed in Havana last summer during a gap between Glover’s 'Solo: A Star Wars Story' publicity tour and a fall concert tour as Childish Gambino. The movie is said to be inspired by both 'City of God' and 'Purple Rain', the hour-long, music-driven movie is a thriller in which Glover’s character attempts to throw a festival on an island, an island where he might find Guava. Rihanna is said to be playing Glover’s love interest, and 'Black Panther’s' Letitia Wright also features in the movie. The trailer of the movie was first captured by an audience member at New Zealand’s Pharos Festival in November and even though the video was not much, and really rather minuscule, but enough to get the gist of the project. Recently, advertisements started to appear on Spotify. “Guava Island, Saturday Night April 13” on one of the digital billboards and Glover is seen singing 'I’ll see you at the show, everyone'. Internet pundits were quick to suggest that the premiere could coincide with the artist's headline performance at Coachella, and, indeed, YouTube announced shortly after that it would screen a one-off special showing of 'Guava Island'. The movie will screen in advance at the Coachella campgrounds on Thursday night and the rest of us will have to watch the movie on Amazon. And if you are one of those people who are online almost all the time, you can watch the film stream on Twitch at 5 pm PT on Saturday. Jennifer Salke, the head of Amazon Studios, said, "I would have committed to Donald sight unseen. I knew whatever he wanted to amplify would have relevance and be entertaining. He has that ability to create cultural moments and spread a message that’s interesting.” Carmen Cuba, the producer of the movie added, "There was a boot camp everyone went through when they came in. You get to see what happens to your brain when you can’t Google every single question you have." The setting of the movie, nicknamed 'Dionysus' also help to keep the project a secret. 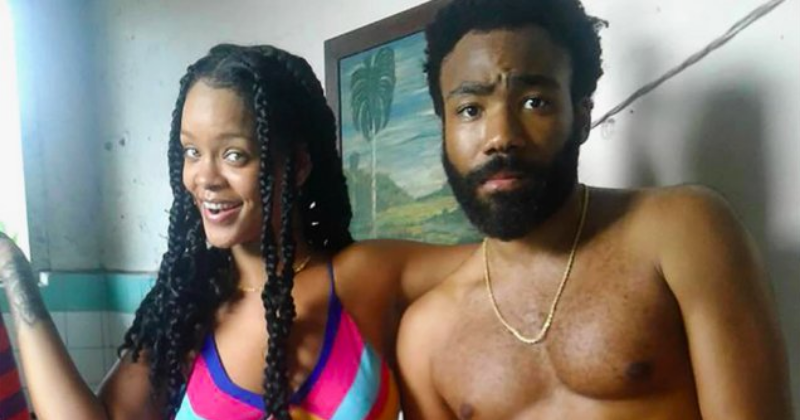 🗣 @childishgambino's 'Guava Island' film featuring Rihanna will officially get its premiere at Coachella during the first weekend's livestream.